B. Thomas (Arlington, Texas, United States) on 17 July 2018 in Miscellaneous. No animals were harmed in the making of this photo. 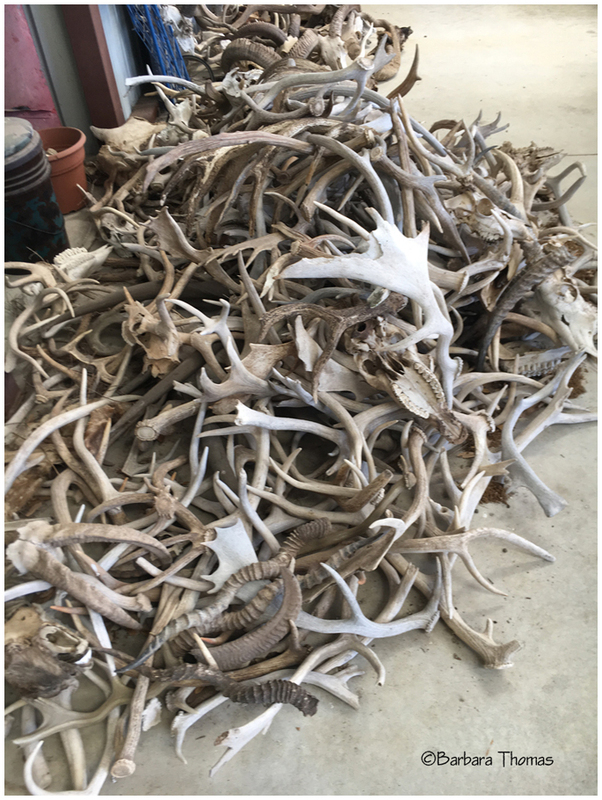 A collection of antlers, horns and a few skulls that were picked up around the Texas Safari Ranch. Can imagine the way this heao came about..
@By Marie: Most of these animals shed their horns. Some die of natural causes or from predators. These are not from hunting, and I also do not like hunting. Haaa super si c'est juste ramassé !!! Une belle collection ! Impressive pile of antlers that might look interesting in any interior individually. WOW. That his a huge pile of horns and antlers. A fine silly Tuesday pictue. An eye-catching, yet ghostly, collection here!! That's quite a pile. Gives a whole new meaning to bone orchard. Impressive collection. Glad you wrote that no animals were harmed. Wow, that's quite a pile! Que de corne quelle vue sueprbe quel effet. An impressive collection. Your clarifying note to Marie removes all the qualms a viewer might have.